Behemoth need no introduction for anyone who subscribes to this site, and I recently saw the Polish black/death juggernaut destroy a sold out venue in Glasgow in the most impressive way. In light of that, I decided to revisit their latest opus, ‘I Loved You At Your Darkest’, released just last year. After the ominous chanting of opener ‘Solve’, the fiery assault of ‘Wolves of Siberia’ carries on the legacy of ‘The Satanist’. I read a lot of criticism of this record before I heard it; about how it’s just ‘The Satanist Part 2’, or that Behemoth are creating a more accessible sound to get a bigger audience. Frankly, I don’t see the latter at all, and the first one makes sense as ‘The Satanist’ saw the band drawn into a new sound that works well, so they’re continuing that direction. Their mixing of their black metal heritage with a fearsome dose of death metal ripples through the Rotting Christ-esque ‘God=Dog’, while the anthemic ‘Ecclesia Diabolica Catholica’ maintains their blasphemous grip on melodies. The grandiose ‘Sabbath Mater’ weaves those Middle Eastern melodies round some severe neck snapping riffs. ‘I Loved You At Your Darkest’ is a much more melancholic and layered record than Behemoth’s previous work however, like the gloomy gothic tones of ‘Bartzabel’, and I guess this type of experimentation is where the ‘accessible’ criticisms comes from. But it is far better to attempt different things than to just smash away with songs that are repetitive and one dimensional. And if you crank up the ravaging howl of ‘Rom 5:8’, you can never accuse Behmoth of going soft. ‘I Loved You At Your Darkest’ is a triumphant follow up to one of my favourite records ever, and cements Behemoth as a true giant and icon in extreme music. It rips and tears as heavy as much of their recent back catalogue, but also displays a wonderful grasp of dynamics and melody that you may not have imagined. Behemoth are the best in the business; trailblazers, innovators and definitive legends, and ‘I Loved You At Your Darkest’ only serves as an exclamation point on that. Swedish black metallers Valkyrja’s fourth full length, ‘Throne Ablaze’, comes after a five year wait, and in that time the band have set themselves to the task of creating something even faster, harder and more blasphemous than their previous work. It is out now through WTC Productions. First track proper ‘Crowned Serpent’ breathes with a hellish cocktail of Marduk’s ferociousness and the more dense, atmospheric tendencies of the likes of Naglfar. This is black metal done in a precisely Swedish way; dripping with melody but most of it is drowned in a viciousness, an ancient and corruptible violence infusing each riff. Even when the pace slows, like in the wretched ‘Transcendental Death’, there are no missteps. ‘Throne Ablaze’ is a record that encapsulates the bile-ridden beauty of Swedish black metal in all its neck snapping, blood stained glory. From the hatred cascading across the icy ‘Tombs into Flesh’ to the flame licked guitarwork of ‘Paradise Lost’, this record barely takes its foot off the pedal. Don’t allow ‘Throne Ablaze’ to slip past you, because Valkyria have crafted a punishing exercise in the infinite balance of both the melodic and the blasphemous. ‘Throne Alze’ is a record that has both in plentiful amounts, and you’ll not get tired of it. If there’s something that the Killchain definitely considers a guilty pleasure, it’s some great, bluesy hard rock. Well, that and a bit of K-Pop too. 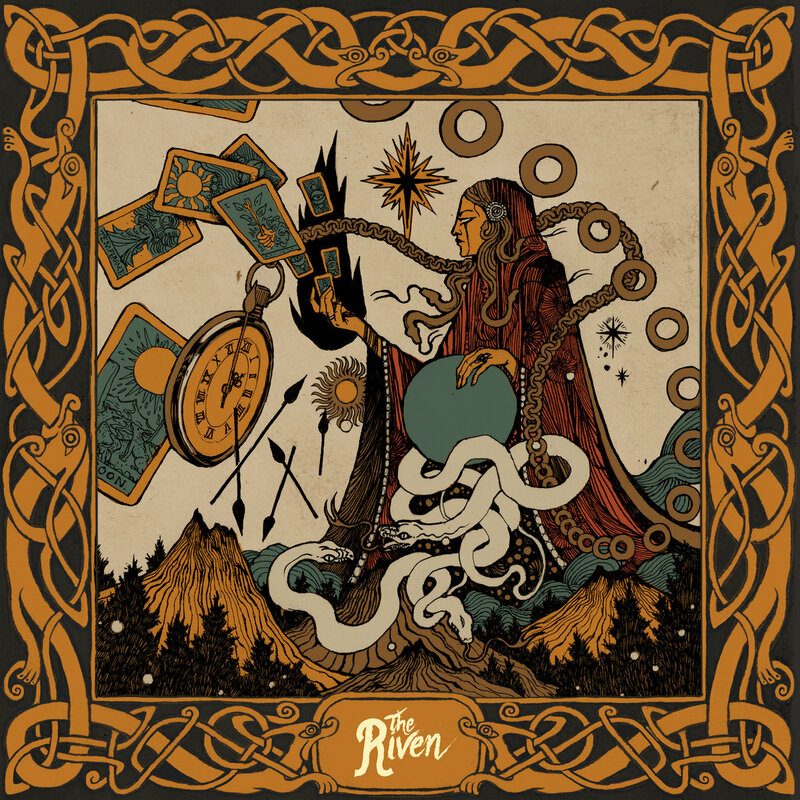 The Riven are the latest Swedish bluesy hard rock band to stride from the frozen north with some good old RAWK in their pockets. I enjoyed their ‘Blackbird’ EP a few years ago, so this should be pretty decent too. It’s out March 1st through The Sign Records. Opener ‘The Serpent’ has everything you need immediately; catchy riffing, a soulful gravelly vocal and some major hooks. The electrifying ‘Far Beyond’ sends some serious Mount Salem shivers down your spine, while the proto-doom of ‘Fortune Teller’ brings the heavy 70s influence to the fore. There’s a deliciously fuzzy guitar tone that dances along the strings, giving everything that old school feel. The Riven have absorbed the style of smoky backrooms, whiskey soaked bars and the essence of what makes this kind of record great. It’s full of undeniable hooks, but the gloomy ‘Finnish Woods’ is probably the finest track here, showcasing the full realm of The Riven’s talents. At times infused with a wistful melancholy and others with fist raised in the spirit of rock, The Riven balance these elements into a record that will inspire and delight. With some of the finest vocals in the business, The Riven have everything going for them to be the next big thing. The forever changing and labyrinthine world of black metal is a wondrous locale to spend time. Wallowing in the strictest of genre staples or left adrift above worlds of experimentation, sometimes you don’t know what you’ll get when you start a record. Such is ‘Achatius’, the follow up to Funereal Presence’s 2014 debut, ‘The Archer Takes Aim’. This is a record that plows its own furrow, and it is out February 15th through Sepulchral Voice Records and The Ajna Offensive. As opener ‘Wherein Achatius is Awakened and Called Upon’ builds glacially, you start to feel something is different here. Ok, torrents of fiery black metal do proceed to cascade from your speakers after a bit, but there is an underlying almost psychedelic nature to it. Traditional black metal tropes wrestle with a sound that you just don’t hear anymore. Imagine Funereal Presence’s riffing to be like a solar flare, burning unfathomably hot in its core but grasping outwards into realms unknown before being sucked back. ‘Wherein a Messenger of the Devil Appears’ is full of these moments, and in fact ‘Achatius’ feels like a record not afraid to put in anything deemed essential to create the right sound. Hell there’s even a goddamn cowbell! I love this record for its unorthodox style, the exhilarating freedom it has to do anything, yet the dedication to grounding it in a traditional black metal form. Intense, full of variety and moments that’ll blow your mind, Funereal Presence have created probably the most unique record you’ll come across this year in the genre. Stunning.